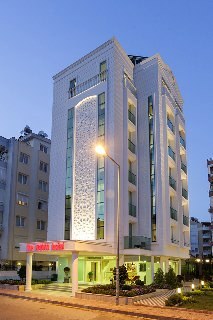 If you’re thinking about booking a self-catering unit during your travel to Antalya, Turkey, take a look at The Room Hotel. 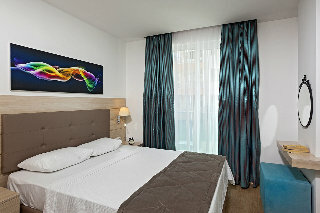 It not only offers various apartments with furnished kitchenette, but free WiFi internet, breakfast buffet and a café bar. 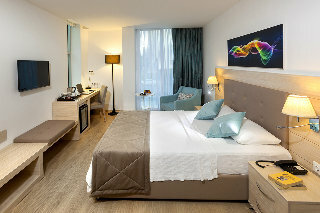 The Room Hotel is equipped with four sets of guestrooms: 17 One Bedroom Apartments, 12 Two Bedrooms Apartments, 6 Three Bedrooms Apartments and 5 Four Bedrooms Apartments. Each apartment has a separate living room and a fully-functional kitchen. 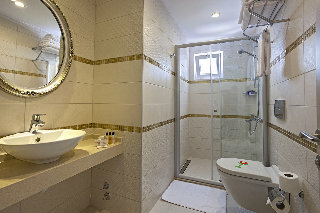 Common features are private bathroom, hairdryer, TV with satellite, dining table, double and single beds, mini fridge, safe deposit, WiFi internet, water heater and washing machine. 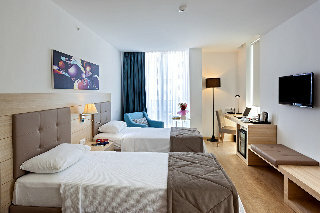 This is a self-catering unit, but it houses a restaurant that serves open buffet breakfast and a café that offers beverages, both alcoholic and non-alcoholic and pastries. The hotel does not offer any entertainment facilities, but once you step into the beach there are tons of water activities. Located 20 km from Antalya Airport, The Room Hotel is a self-catering unit suitable for families, couples, and large groups of travellers. 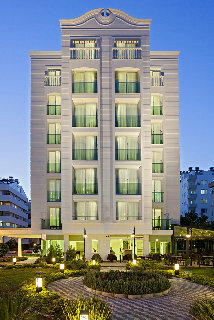 It features 40 modern and spacious apartments and situated 700 metres from Konyaalti Beach. The neighbourhood offers a very rich Turkish culture — there are open markets, little cafes and traditional restaurants around the hotel — even the city centre only 5 minutes-drive away from the hotel.